It's a separate building from the main hospital buildings, so not many people about. That was a good thing. The bus rides over are crowded and noisy enough as it is. The clinic is about a 5 minute walk from the bus stop though, that's quite a trek when you have Chronic Fatigue Syndrome! At least it had a ramp up front and lifts so there were no stairs involved. Once beeped in, we were lead to a small, carpeted waiting room with sofas, notice boards on the walls and a water dispenser. Cosy enough. It was quiet. We were led down a long hospital-like corridor then into a cosy office. It was carpeted, had a couple of sofas, a coffee table, a desk and a huge window. The lights were very bright, so I kept my sunglasses on the whole time. I didn't realise it at the time, but the first meeting was an assessment with a psychologist. He was extremely thorough, asking me questions spanning my entire life - from my mum's pregnancy all the way to present day. The whole meeting was 2.5 hours long! I lay back in my little couch for the entire meeting - there's no way I could stay upright for that long! I also kept my eyes closed most of the time - it helps me focus on what's being said. He seemed to focus on my last two years - that's when my health seems to have started deteriorating more rapidly. There were many things that caused stress and maybe even some trauma during that time and a lot of emotional stress and ill health for years prior to that as well. I have never been in therapy before so it was a very interesting experience and I learned a lot from it... It shed some light on things I don't really think about on a daily basis. Fascinating what very specific, targeted questions can dig up, isn't it? Of course my lovely friend came with me and helped me with answers when my brain wouldn't work. I was so grateful to have her there! We even got to tell him of our faith and the hope we have in Christ. Apparently, when I left the room to use the toilet, my friend shared the gospel with him and told him how well I was coping with everything. At the end of the meeting the psychologist was satisfied that I don't have mental health issues and agreed that I have Chronic Fatigue Syndrome. He was surprised at how well I am coping emotionally with my disability and thought it is probably due to my faith. I was offered different therapies. The one therapy is CBT (Cognitive Behaviour Therapy) and the other is GET (Graded Exercise Therapy). They will have a meeting with their team and decide which treatment option is more suited to my needs and then put in a request for funding. I have to wait for a letter. I praise God for finally having a confirmation of the diagnosis - and soon it will be in writing too! Having Lethargy and Post Viral Fatigue written on sick notes is not ideal, it doesn't even begin to describe how I feel. I have been so frustrated and concerned every time a blood test comes back negative and another doctor looks at me puzzled. Having a name for what's causing this is a relief. I am slightly disappointed at their referrals though, I have not heard great things about CBT and GET in regards to treating Chronic Fatigue Syndrome. Neither is a cure for this illness, but I am willing to try anything at least for a while to see how it goes. Overall it was a positive experience. I don't know more about the illness than I did going in, but they have a thorough background of my life now and how my health has deteriorated. I'm hopeful that they will choose the best treatment option available to me and look forward to getting started if it means there's a chance that I may see some improvement. Praise God for true friends who support me so well. Praise God for doctors who care and praise God for His faithfulness! How did your first session at the specialist clinic go? What sort of treatments were you offered? How did you feel about what was offered to you and how you were treated? Has their intervention helped you? 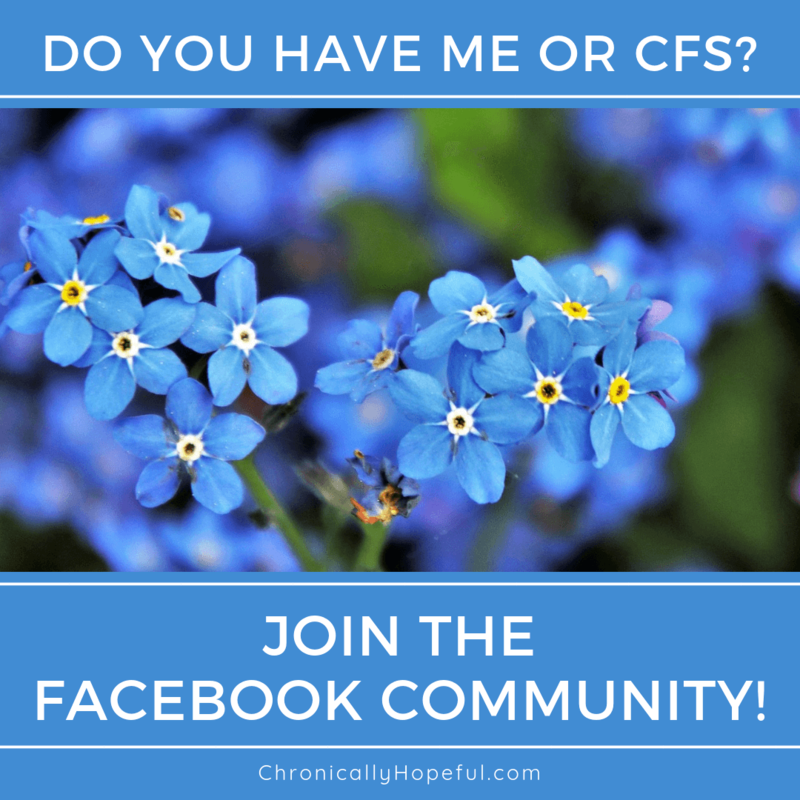 Let me know in the comments below, email me or click here to share your story on my blog. I’m glad you finally have a diagnosis but I’m very disappointed GET is still being “prescribed” as a treatment for ME/CFS. Hi Jo, thanks. This was actually in 2015. But yes, I was recently offered similar at a different clinic, so not much has changed unfortunately. I’m so glad your doctor knew about the illness, unfortunately through first hand experience, but I am sure this has helped you and others more than hindered. So many of us get the wrong advice from doctors who are ill-equipped to diagnose and treat or even advise on the illness. Thank you for sharing your experience. Have you made much progress over the years? CBT and GET can make matters worse. Please be careful and ask them to read up on it!! Hi Gloria, thank you. This was in 2015, I did have CBT and continued to deteriorate until bedridden at the start of last year. I was eventually discharged with an apology from my therapist because she was unable to help me improve.